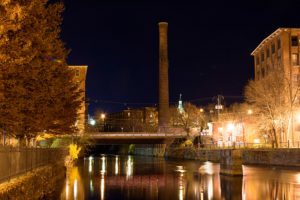 New Hampshire’s tech community is invited to the second Seacoast Tech Tour held this year. This time, focused on companies located in Dover. The tour begins at 5 p.m. on Wednesday, Aug. 15 at the Dover location of Weather Analytics, a Washington, D.C.-based firm that combines atmospheric data and computer science to offer risk mitigation tools and predictive analytics for weather events, helping businesses avoid potential event-related losses. Their office is located at 1 Washington Street Suite 539 in Dover. Envio 360, a real-time software tool that automates intermodal trucking companies, is the second stop on the walking tour. Envio 360 uses artificial intelligence to automatically manage complex trucking industry operations with a team of experienced professionals in intermodal operations, intermodal software development, data science, and machine learning. The event wraps up at The Thirsty Moose Tap House for a networking social beginning at 7 p.m.
At the tour, attendees can meet with teams from each spotlight company, learn more about their products and services, and network over snacks and beverages. Attendance is limited to the first 35 people who sign up, and registration is required. Tickets are $10 for Council members and employees of Weather Analytics and Enviro 360 or $15 for non-members, and available online at nhhtc.org.